Time for some adorable children IN ACTION. 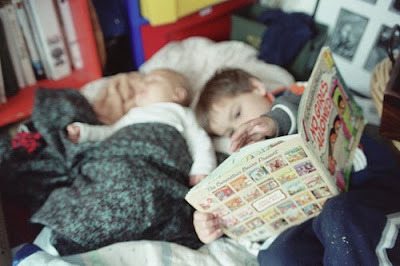 First up: Monroe Hanson is actively sleeping, and Truman Hanson is actively reading the Berenstain Bears book NO GIRLS ALLOWED. 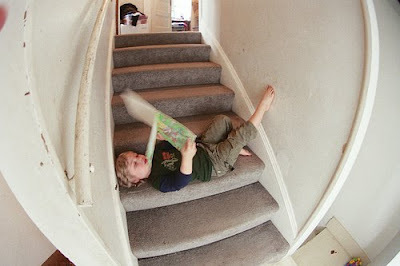 And second, action shot of Everett Hanson reading while rolling down the stairs. Now that's dedication.